Because I haven't blogged in a while, and to get things rolling, I thought I share a couple trivial photos. 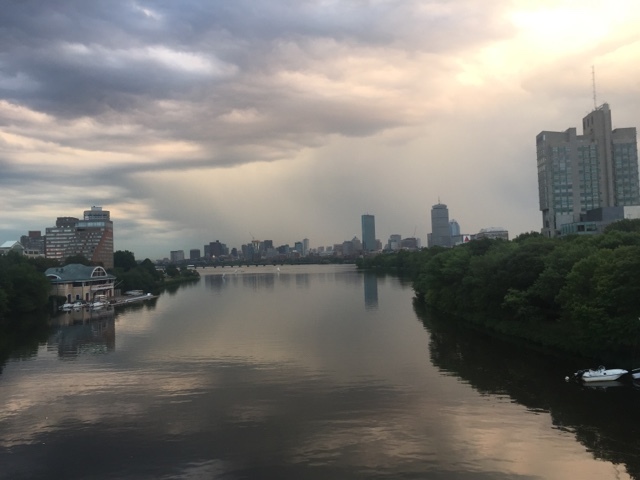 I moved across the river to Cambridge, MA. So I get to check out the Boston skyline on my way to and from BU. 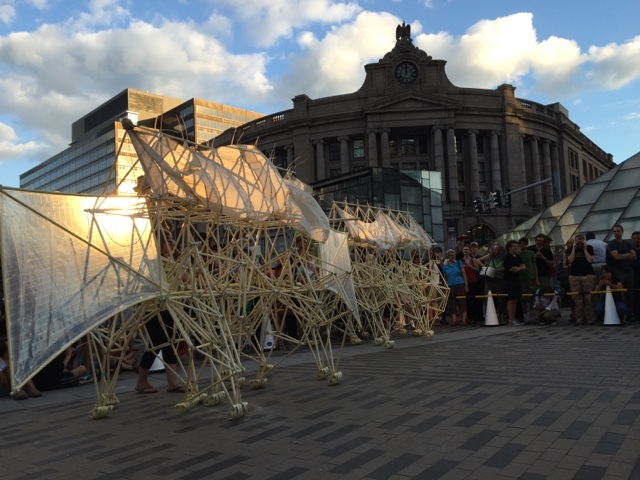 Kinetic sculptures are cool! I guess South Station is pretty cool too. These are by Theo Jansen. Downtown Portland. 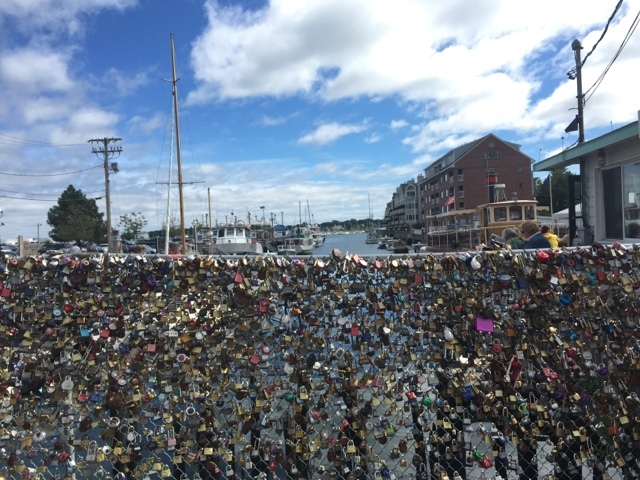 There's a heck of a lot of locks on this fence. 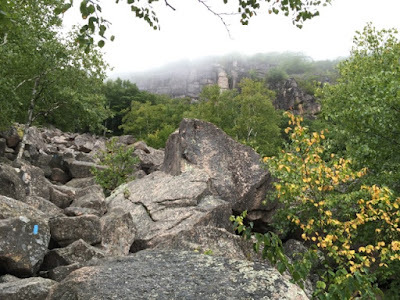 Nothing is more ominous than looking up a rocky, fog-masked, mountain cliff (Acadia, ME). 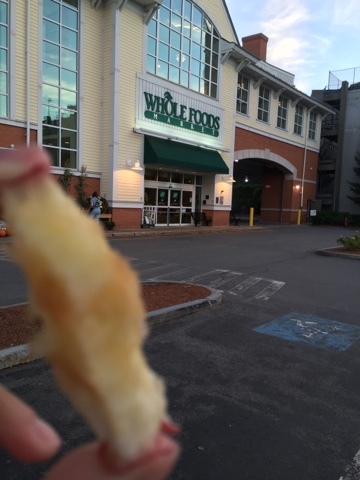 I apparently now deal with stress by shopping at Whole Foods and eating an apple on the walk there . . .
Post Script: The "G+1" icon is beyond hideous.